Shooting Star Pottery is one of the last remaining working studios in Patagonia. It is located directly behind 431 Duquesne Ave. on Santa Rita Alley. Go down Santa Rita Alley from 4th Ave. and look for a shooting star pottery sign. 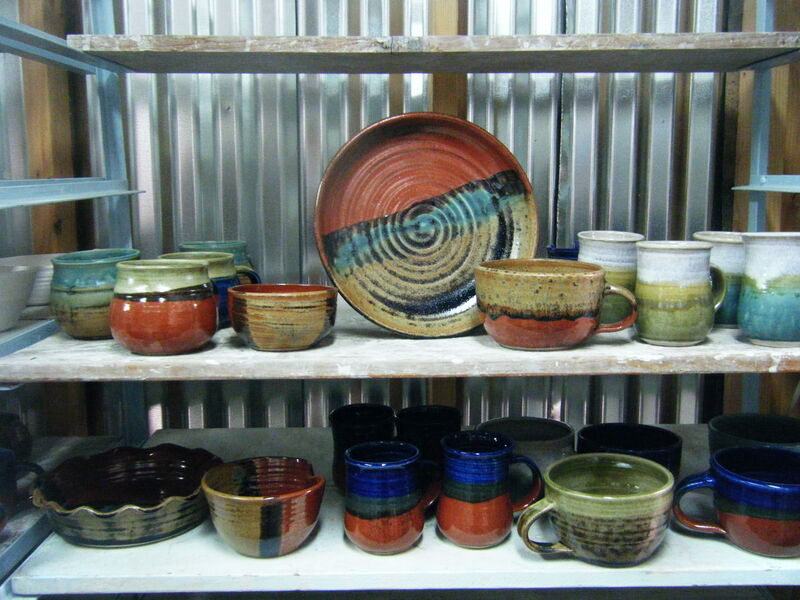 Shooting Star Pottery features mostly functional pieces thrown on a potter’s wheel, specializing in tableware and dinnerware sets, as well as one of a kind pieces. 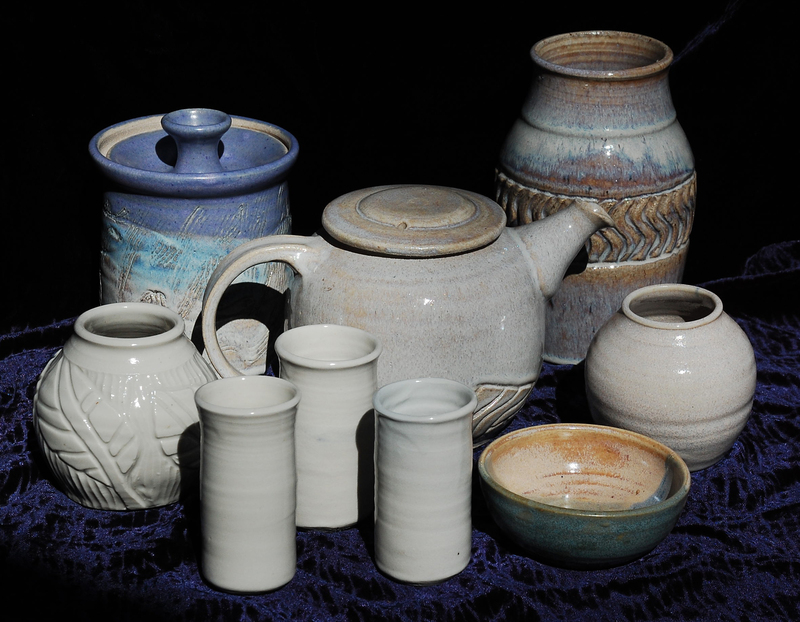 The glazes can be bright and eye catching, or a variety of more subltle earth tones. The use of white stoneware and a porcelain clay allow for the true colors of the glazes to show. Martha Kelly’s ceramic mosaics can be seen at the Art Center, Creative Spirit Gallery and Red Mountain Foods. A smaller mosaic panel is located further down Naugle Avenue next to Mercedes Mexican Restaurant. 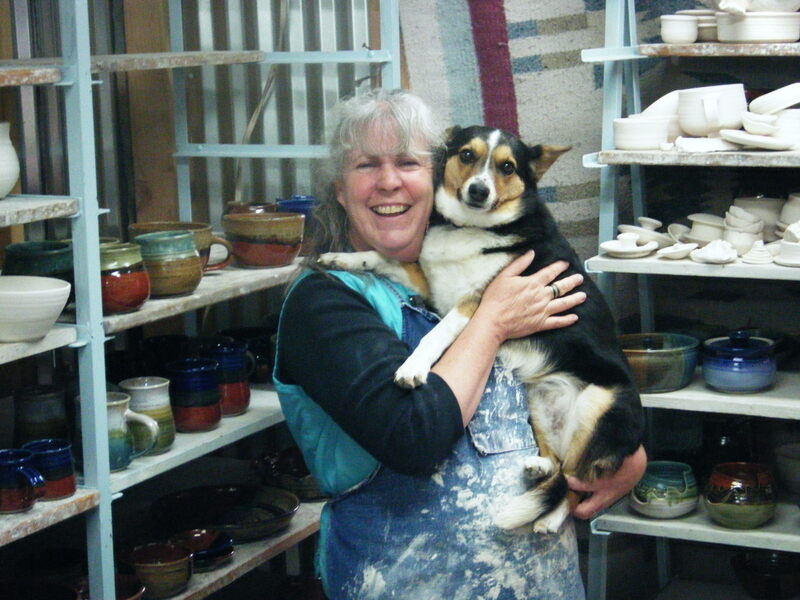 Martha teaches wheel thrown classes at her studio and hand built classes at the Patagonia Creative Arts Center. If you don’t find Martha at her studio, just give her a call and she will be happy to open her studio for you!